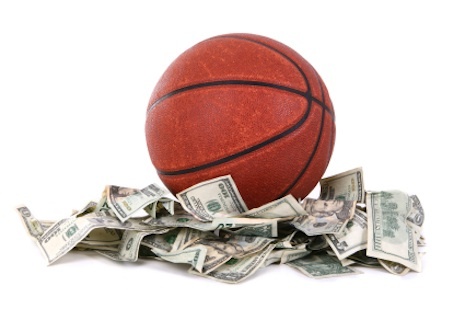 5 Things You Need to Know About NBA Betting Lines What is Cost Per Head? NBA Betting wouldn’t be nearly as exciting if there weren’t new and fresh faces to ponder about each and every year. In the latest season, one of those fresh and promising faces is that of Blake Griffin. Griffin, at just twenty-two years of age, is already making waves with the Los Angeles Clippers. He enjoyed an extremely successful high school career with Oklahoma Christian School before moving on to play for the University of Oklahoma for two seasons. Despite injuries in his first season, Griffin never lets anything get in his way, proving himself a strong and useful player. You can’t forget about Kyrie Irving either when NBA betting time rolls around. Like Griffin, Irving also got noticed in high school as a standout player. He played rather impressively for Montclair Kimberley Academy. In fact, his high school skills were so impressive that the super young player (he’s only nineteen!) went on to play for the Cleveland Cavaliers after only a brief stint as Duke’s point guard. He was the first overall pick for the team, an impressive feat for such a young kid. All eyes are on him and expectations are high for a long and successful basketball career. Ricky Rubio is another up and comer to keep in mind for your NBA betting as well. This player is another young one, having been born in 1990. The spicy Spaniard currently plays for the Minnesota Timberwolves, and is proud to have been named the youngest player in the Spanish ACB League, which he joined at the super tender age of fourteen. It would take him a few years to be noticed and drafted by the NBA, but he obviously had the years to spare. Talent like this doesn’t come around often, so he is definitely one to watch. Finally, there is Jeremy Lin, although he may not be the best of the young bloods he is certainly the most recognizable name in the NBA today. “Linsanity” has transcended the game and is now a cultural phenomenon that has spread around the world. The great thing about Jeremy Lin is that his stellar play after being inserted into the New York Knicks lineup due to injuries has brought back interest for many NBA fans and attracted a lot of new ones as well. These budding super stars make the future of the NBA bright indeed.